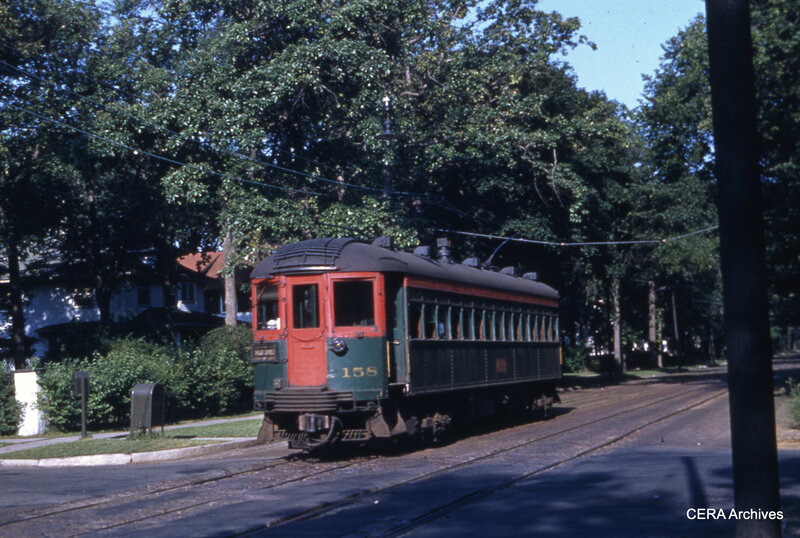 During his childhood, Myles Jarrow traveled to many places with his family using streetcars, interurbans, and intercity trains. 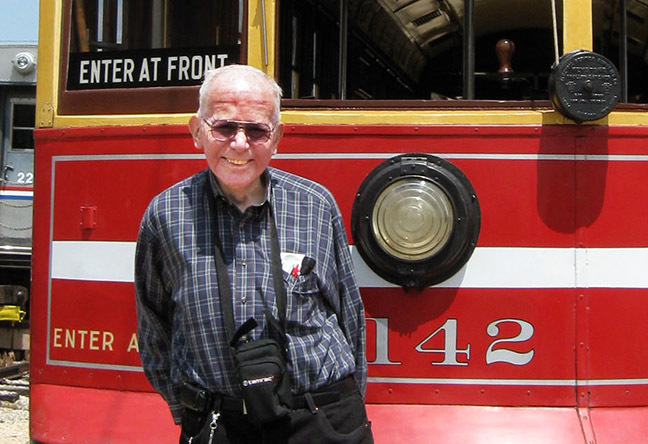 His earliest memories of riding streetcars in Chicago dated back to the mid-1920s. Among other local attractions, he enjoyed visiting the Balaban & Katz movie palaces, the various museums, and the Municipal Pier (now called Navy Pier). 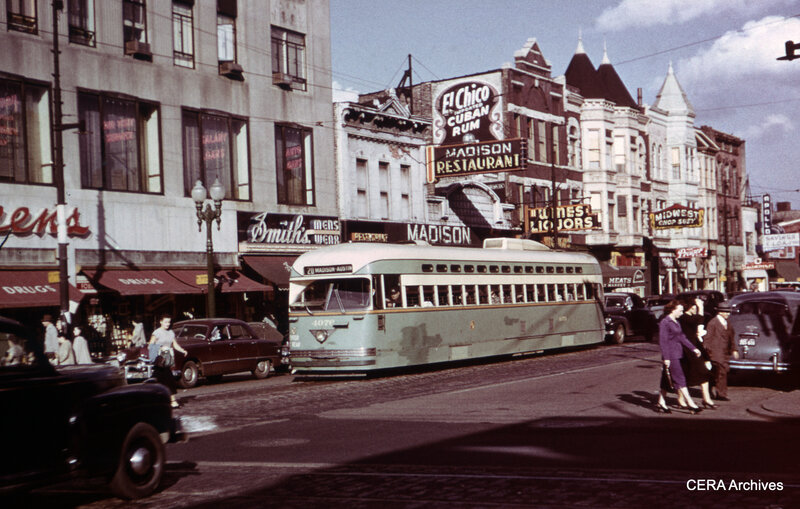 But observing and riding the colorful streetcars mesmerized him more than anything else. 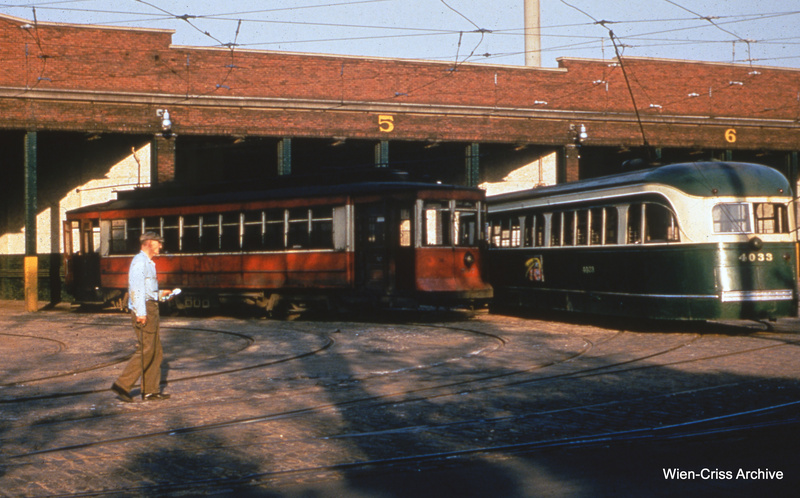 Outside of Chicago, Myles was fortunate to experience firsthand many of the streetcar and interurban lines that still operated during the early years of the Depression. Decades later, he would lament not having gotten into photography. But Myles’ photographic memory did a fine job of preserving intricate details from those trips. He prudently saved timetables, brochures, and other memorabilia from his travels. Apart from being involved in his family’s company which manufactured refrigerator door gaskets, Myles dabbled briefly in transportation. He and his friend Frank Butts operated a small bus company in Lincoln, Illinois after World War II. Myles joined the fledgling Central Electric Railfans’ Association back in 1938. Remarkably, his involvement with CERA would span three-quarters of a century! As Member #23, he was the last surviving member to attend the early meetings. Myles was a gifted speaker who would pair his lucid memories with images from various photographers. He gave several excellent, memorable programs at CERA through the years. Myles’ passion for travel continued well into the 21st Century with trips to Europe as well as visits to USA cities with streetcars and light rail. Reduced mobility in later years did not deter him from attending CERA meetings, visiting IRM, or enjoying social visits with friends. His energy and youthful spirit transcended his 92 years. On a more personal level, Myles was a longtime friend. We will miss his always-upbeat attitude, companionship, enthusiasm for the hobby, and great sense of humor. A walking ‘time capsule’ of Chicago in the ’30s and later, Myles was an interviewee for the book Downtown Chicago in Transition, co-authored by Eric Bronsky and Neal Samors. Myles passed away on Sunday, December 21. He bequeathed his extensive collection of books and paper items to the Illinois Railway Museum. A memorial service is being planned for Tuesday, December 30 at North Shore Congregation Israel in Glencoe, Illinois. Details are forthcoming. The CERA Members Blog will be back up and running in 2015. In the meantime the organization’s main target will be to have the completed B-146 off to the printer this month so it will be ready for distribution to members and purchasers in mid January 2015. We wish you all the best for a happy holiday season and look forward to seeing you again in the New Year. There was a time, not so long ago really, in February 2013 when we started writing this blog, and we had practically no readers. It seemed that, no matter how good the posts were (and some of the early posts were very good), nobody was paying very much attention. I am glad to report the situation has changed. We set a new record yesterday with 2,091 page views in a single day, and 13,976 for the month of November. The previous record for page views in a day was 944 and that was just a couple weeks back. The 1989 movie Field of Dreams espoused the philosophy, “build it, and they will come.” In the film, Kevin Costner constructs a baseball diamond in the middle of a cornfield, and pretty soon the ghost of Shoeless Joe Jackson comes out of the shadows. While we can’t claim Shoeless Joe as one of our followers, something similar may be at work here. Over time, as our posts accumulate, there is more and more available here for people to read. Readership has been going up lately, even though there are fewer posts this year than last. But we’ll take new readers wherever we can get them. 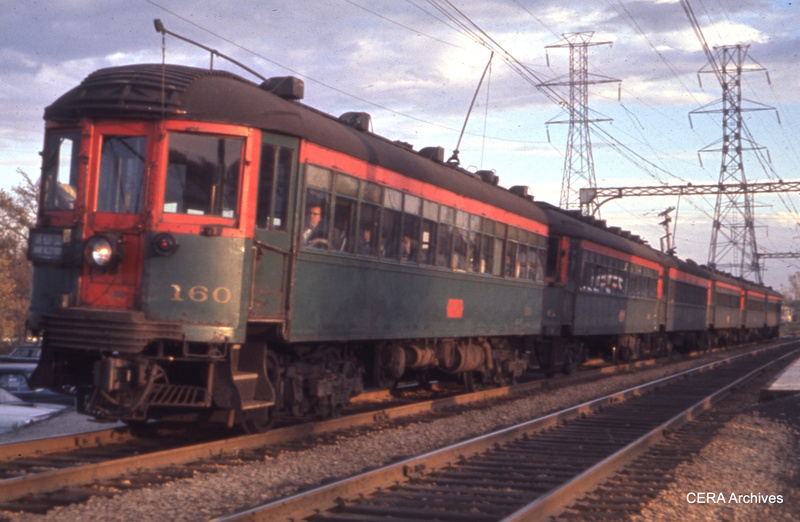 If you have just recently discovered this blog, we’ll do our best to keep up the good work, and keep you both informed and entertained while covering transportation history and current goings-on. IMHO, our best posts use pictures to help tell a story. And if, as a result, you discover the group that’s behind it all, Central Electric Railfans’ Association, that’s even better. I don’t expect to be seeing the ghost of Shoeless Joe Jackson anytime soon, but you never know. Stranger things have happened. As Mr. Lantz notes, each contributed $100 to bring Indiana Railroad car 65 to Illinois. Malcolm McCarter is the lone surviving founder, and he still sells railroad photos, as he has been doing since 1942. You can read more about IR car 65 in A Tale of Two High Speeds, one of our posts from last year. ESCAPE THE POLAR VORTEX, WE’RE GOING DOWN UNDER! December is sure to bring with it much in the way of cold weather and the possibility of snow and ice. However, in Australia and New Zealand, in the Land Down Under, December is the height of Summer. Long, warm days with lots of sunshine await us Down Under. 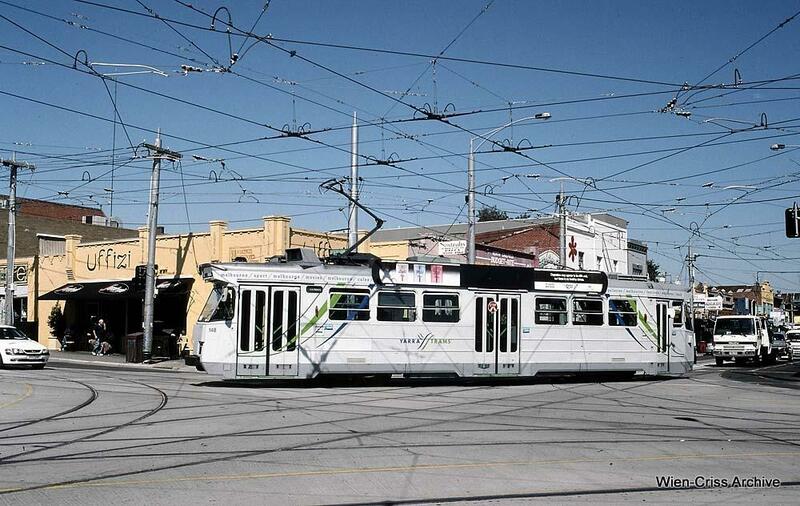 December 26th, Boxing Day in both Australia and New Zealand, promises to bring you exciting videos of the electric trams and cable trams of Melbourne, Victoria, Australia, and time permitting, recent videos of the current trolley bus operation in Wellington, New Zealand which is slated for abandonment on June 30, 2017. Melbourne has the third largest streetcar system in the World, and Wellington has the only left hand trolley buses on the face of the Earth. 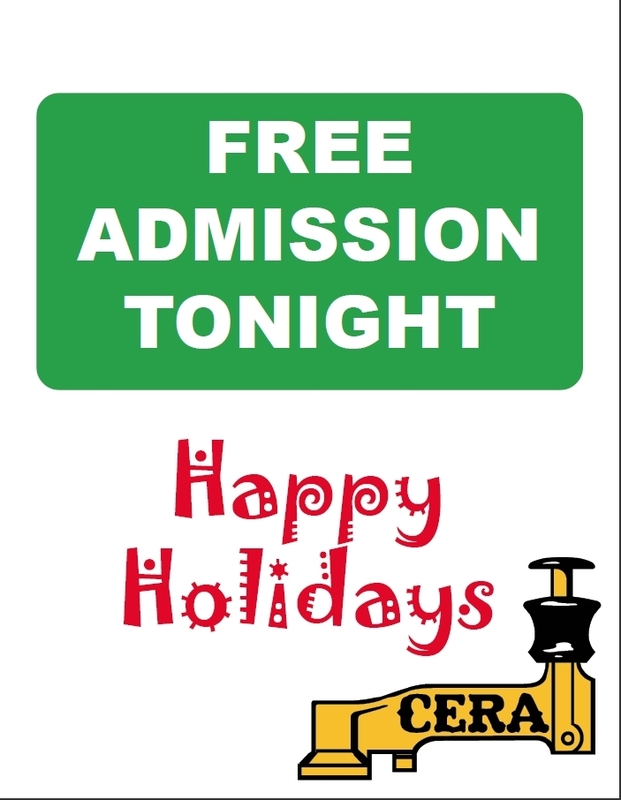 Since CERA will be celebrating the Boxing Day holiday on the night of our program, admission will be free to all attendees as CERA’s holiday gift. B-146 Update: Barring any unforeseen problems with our printer, we hope to have B-146 in the hands of our members by the middle of January 2015. Downtown Kenosha’s 2014 Lightin’ Up and City Tree Lighting event with Kenosha Streetcars 4606 & 4609 (the Chicago and Pittsburgh cars) decorated and filled to capacity! 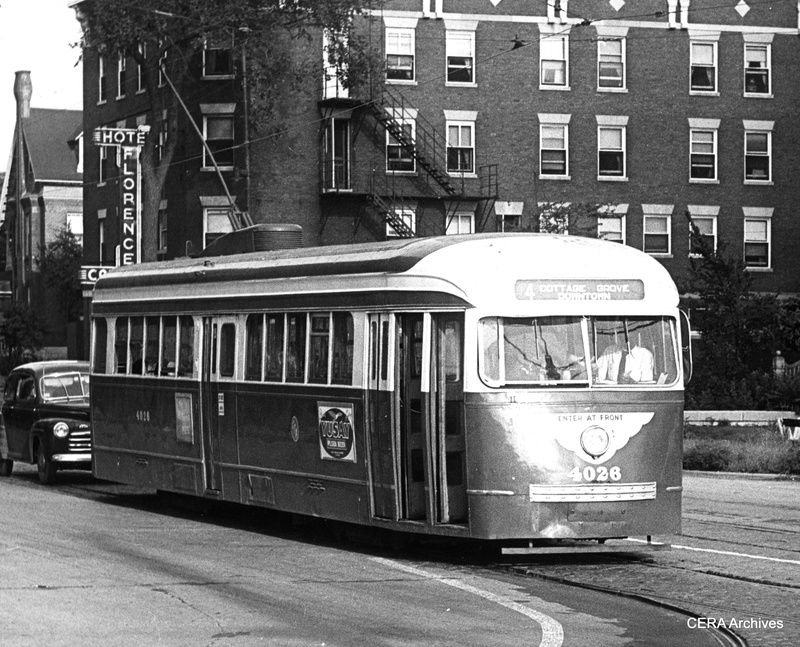 Tonight @CERA - The North Side "l"
Long-time CERA member and author Bruce Moffat recounts the history of Chicago’s North Side “L” in this informative and entertaining program. He will trace its development, beginning with Charles Yerkes‘ battle with the City to extend rapid transit into the north side, followed by upgrading a steam railroad to extend “L” trains into the suburbs. Joint operations with steam- powered freights, electric interurbans and the “L”‘s own electric freight are also covered. Mr. Moffat’s books include Forty Feet Below – The Story of Chicago’s Freight Tunnels, The Chicago Tunnel Story: Exploring the Railroad “Forty Feet Below” (CERA B-135), and The “L”: The Development of Chicago’s Rapid Transit System, 1888-1932 (CERA B-131). 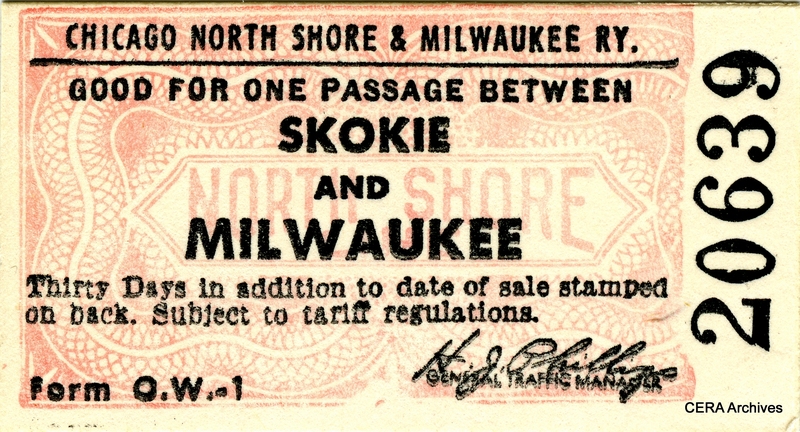 In addition, he has also authored Shore Line Interurban Historical SocietyDispatches 1 and 5: Cooperation Moves the Public, and The Chicago “L’s” Great Steel Fleet – The Baldies. 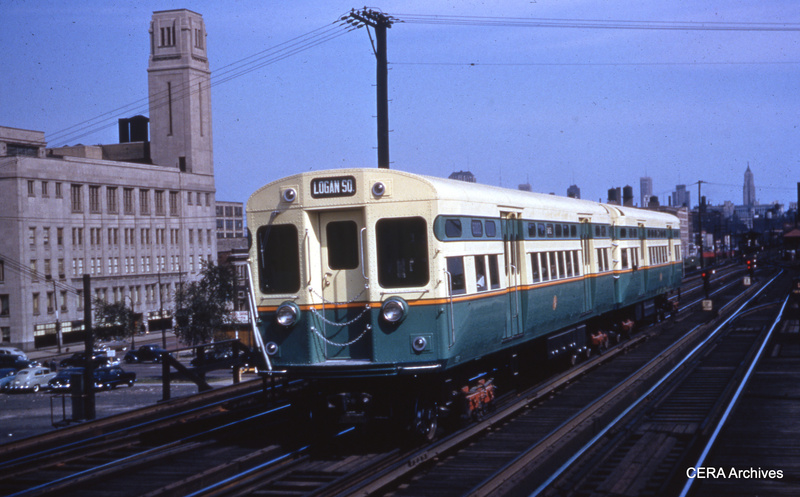 In this Thanksgiving post, we are grateful for the North Shore Line, that fabled interurban that sped between Chicago and Milwaukee, giving faithful service right up until the early morning hours of January 21, 1963. 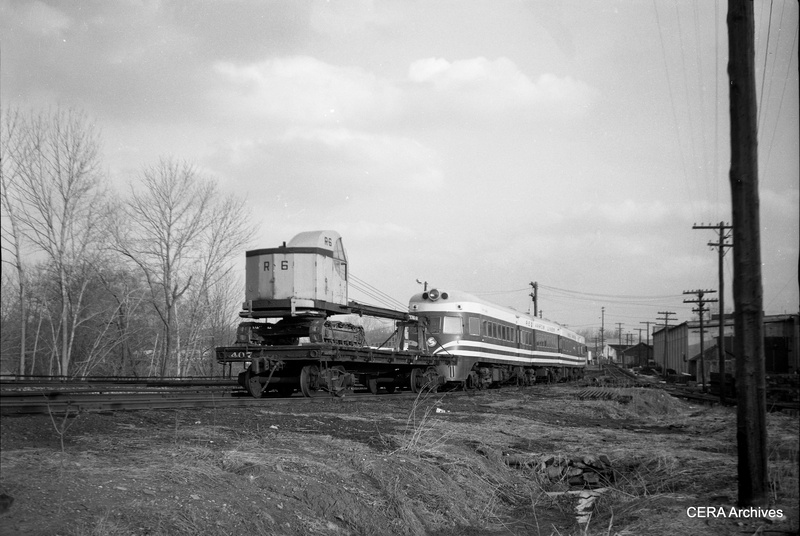 Central Electric Railfans’ Association had a long, mutually beneficial relationship with the CNS&M, going back to 1938. 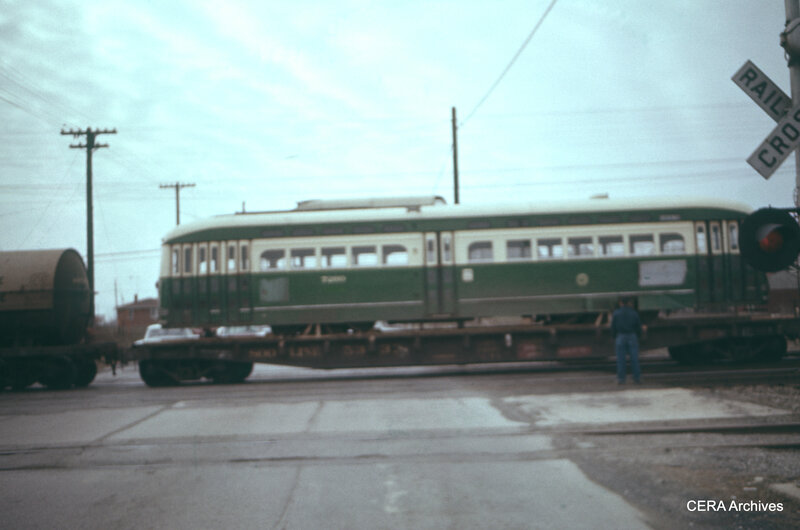 The North Shore Line allowed CERA to use car 300 as a “club car,” for meetings and excursions, until the wartime cutbacks made this impossible. 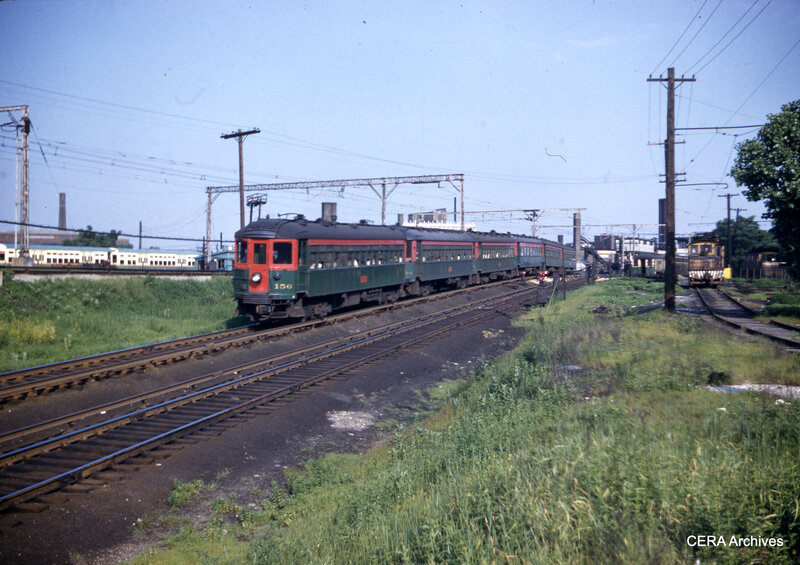 In the final years, there were many CERA fantrips on the North Shore Line, using a variety of different consists. 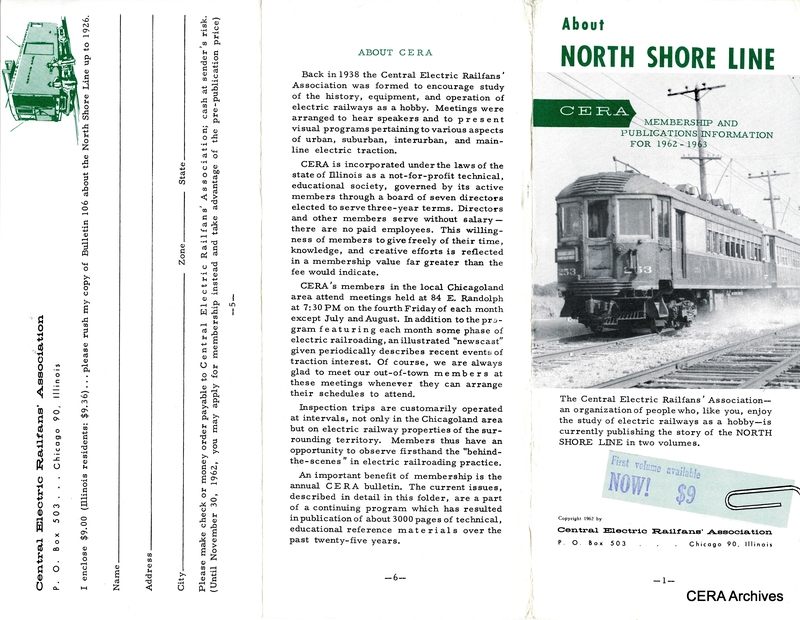 Traditionally, January’s CERA program celebrates the North Shore Line, and 2015 will be no exception. Looking forward to that event, we offer a selection of rare images of the North Shore Line, plus a few additional interesting documents. While cold winds may howl outside, there will always be a warm place in our hearts for the Chicago, North Shore & Milwaukee. 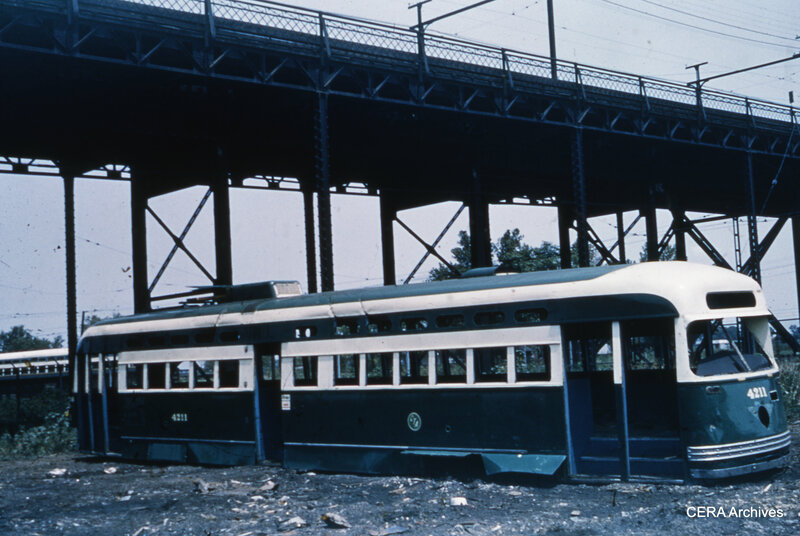 We’ve even included a few pictures showing the Electroliners’ “reincarnation” on the Philadelphia & Western as Liberty Liners. We hope that you will enjoy them along with your turkey, stuffing, and cranberries, albeit in lieu of Electroburgers. 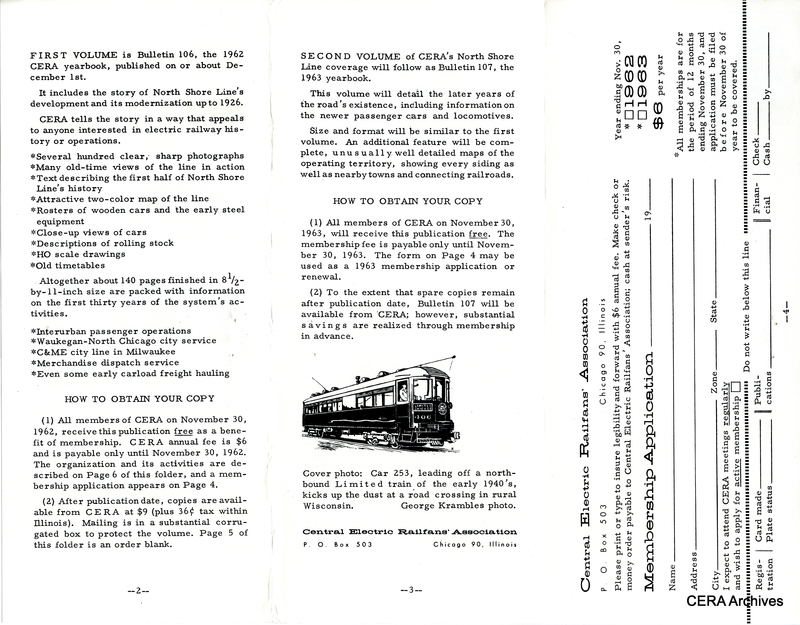 According to this brochure, the first volume in CERA’s famed North Shore Line series appeared just a few months before abandonment. FYI, as of November 11th, I have stepped down from the CERA Board, the position of president, and the archivist for CERA. My personal health has caused me to take these actions as well as the declining health of my elderly mother who is in her 80s. I will continue to perform whatever functions the CERA Board decides that it would like me to perform. Thanks for your support of CERA and our Blog. 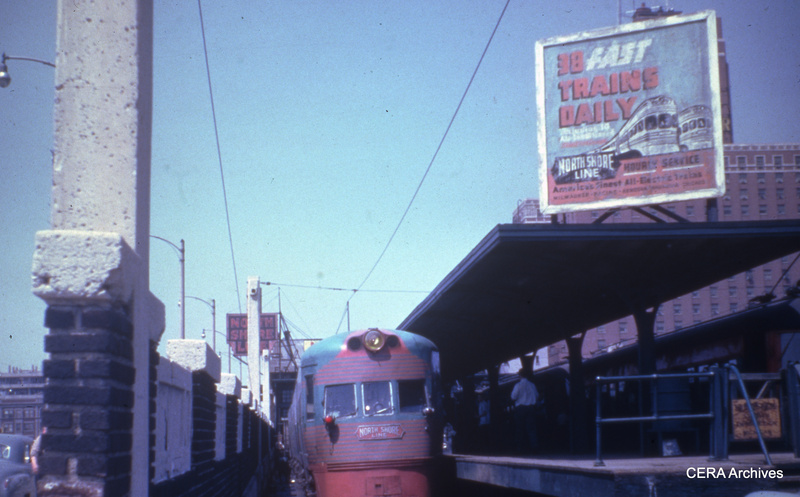 Chicago’s first subway opened 71 years ago, during World War II. But the planning for subways goes back at least 30 years earlier. We received a call the other day from Beverly Petzhold, the widow of Charlie Petzhold. Charlie was well known to the CERA community and frequently gave “newscast” updates at meetings on various projects he was working on for the CTA as an engineer. Sadly, he passed away 20 years ago. Mrs. Petzhold has generously donated Charlie’s collection of historic documents to the CERA Archives. Many of these detail the planning, engineering and construction of the Chicago subways over the decades. We took note of her gift here. Mrs. Petzhold found another book to add to our collection- General Plans for a Passenger Subway System in Chicago by Bion J. Arnold, published in January 1911. It’s instructive to consider the life and career of Bion J. Arnold, who is largely forgotten today, but was a giant in the transportation field in his time. Arnold was involved in designing the very successful IRT subway in New York. No attempt has been made to show in this report the necessity for subways, for it is taken for granted that on account of the present congestion, at times, of the surface line cars and elevated trains in the business district, as well as the apparent demand for the removal of the elevated loop structure, that subways are desired regardless of whether they can be justified from a financial standpoint or not. Arnold also noted that the existence of the Chicago Tunnel Co. freight system complicated the routing of new subways, as most of the tunnels were at a depth of 33 feet (this in spite of the title of Bruce Moffat’s book Forty Feet Below). As things turned out, during actual construction, the freight tunnels were used to remove excavated materials, so they were a benefit. But since the new tunnels bisected the freight system in many areas, they hastened the decline and eventual demise of the system. Less than a generation after the completion of the Chicago Loop “L” structure in 1897, there were calls to remove it and replace it with subways. These plans influenced civic planning all the way up until the administrations of Mayors Michael Bilandic and Jane Byrne in the late 1970s. The perceived need to replace the Loop “L” in stages had a major influence on these subway plans. In a similar fashion, the existence of streetcar tunnels under the Chicago River strongly influenced plans for Downtown streetcar subways. 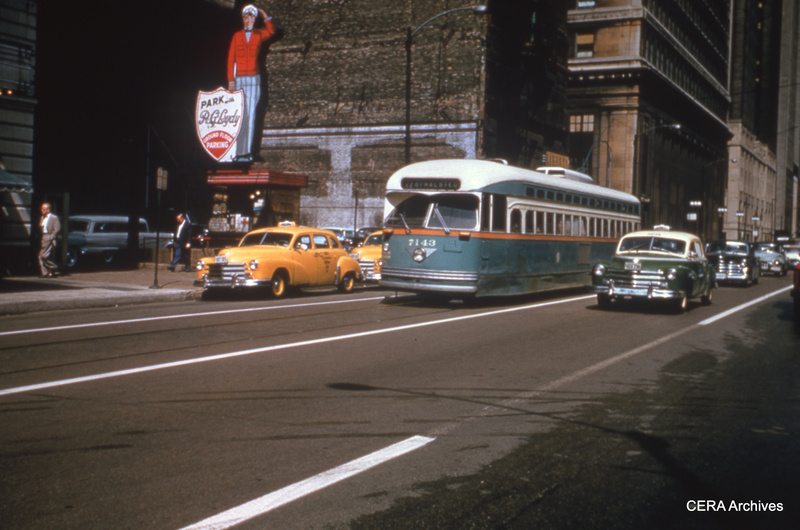 These plans even outlasted the streetcars, since the CTA and City of Chicago were still hoping to build just such a bus subway along Washington Street into the 1960s. Although many changes were made in the Arnold plan for Chicago subways, you can draw a straight line between those plans, and what was eventually built. Since the Loop “L” connected with lines going to the north, south, and west, any subway that hoped to replace the Loop would have to go in these same directions. North and south could be through-routed and State Street was quickly identified as the prime location for Chicago’s first subway. Construction almost began in 1931, but was halted due to some lawsuits regarding funding and the Great Depression. But the project was revived, and with the addition of Federal aid through the PWA, actual construction started in 1938, and the subway opened in 1943. Connections to the Lake Street and Metropolitan “L”s to the west would have to contend with Lake Michigan on the east, and the Arnold plan envisioned a subway under Michigan Avenue connecting them. 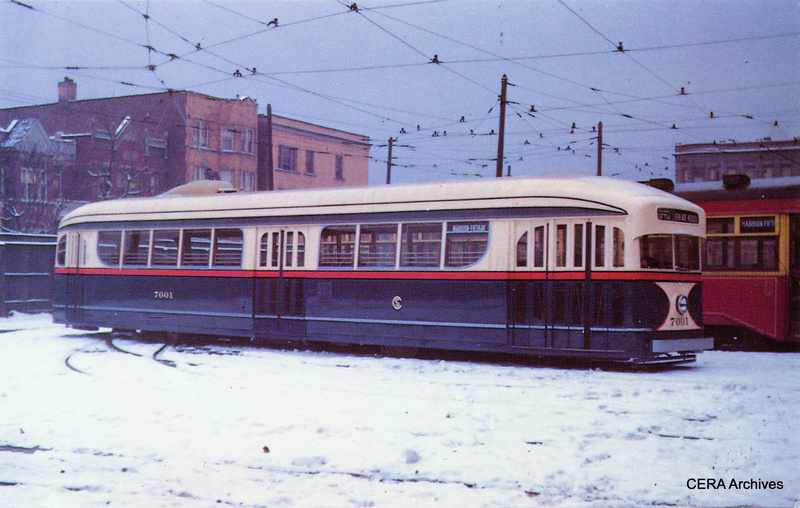 Portions of this rapid transit subway were intended to run side-by-side with streetcars, for a total of four tracks. 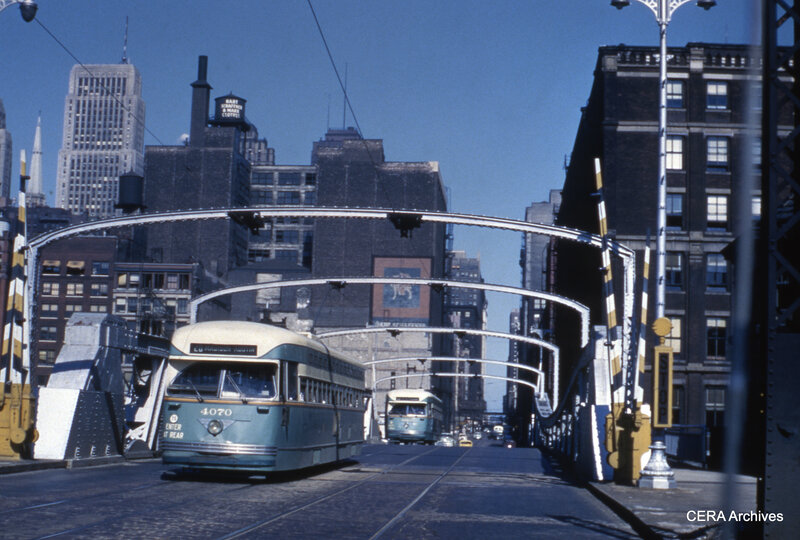 By 1937, the City of Chicago’s streetcar subway plans called for two underground turning loops east of Michigan Avenue. There also would have been an underground car barn. Although never built, these are the locations where underground parking garages later appeared. By the mid-1920s, subway plans had evolved to where the Number 2 tube would have gone in Clark Street. On the south end, the plan was to connect to a new subway going off to the southwest. This side of the City did not get such service until the Orange Line “L” opened in the early 1990s. 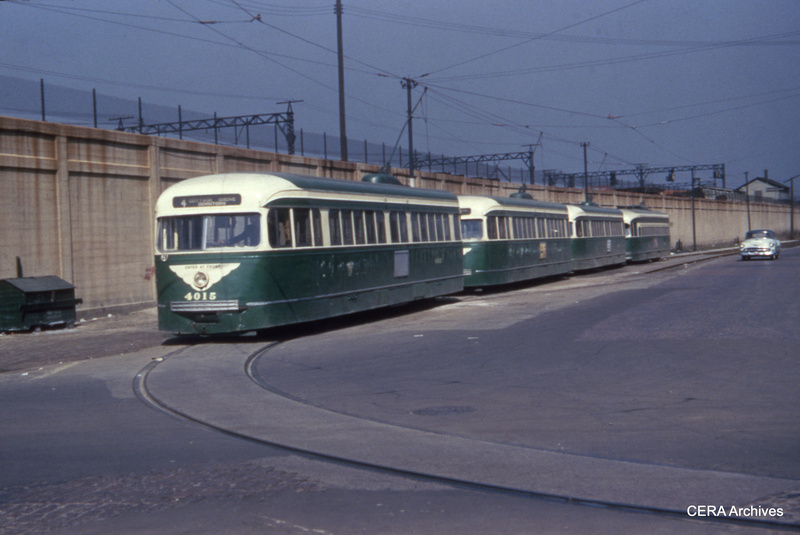 In 1937, the City of Chicago, lobbying for Federal work project funds, issued a comprehensive plan for transportation, commonly referred to as the “Green Book.” This included the State Street subway and also the two east-west streetcar subways. The PWA, under the direction of Harold L. Ickes, who also served as Secretary of the Interior, had other ideas. 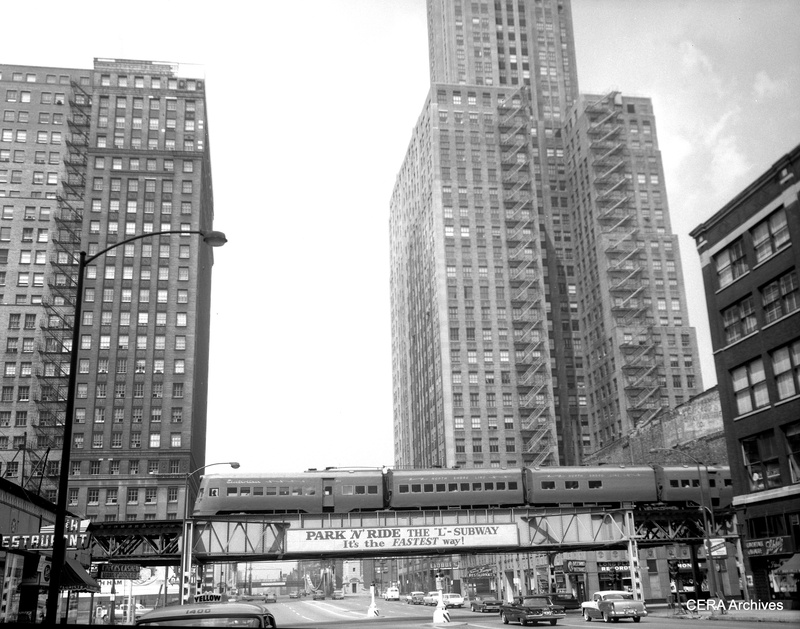 While accepting the necessity of the State Street tube, Ickes advocated for a second subway on Dearborn Street. 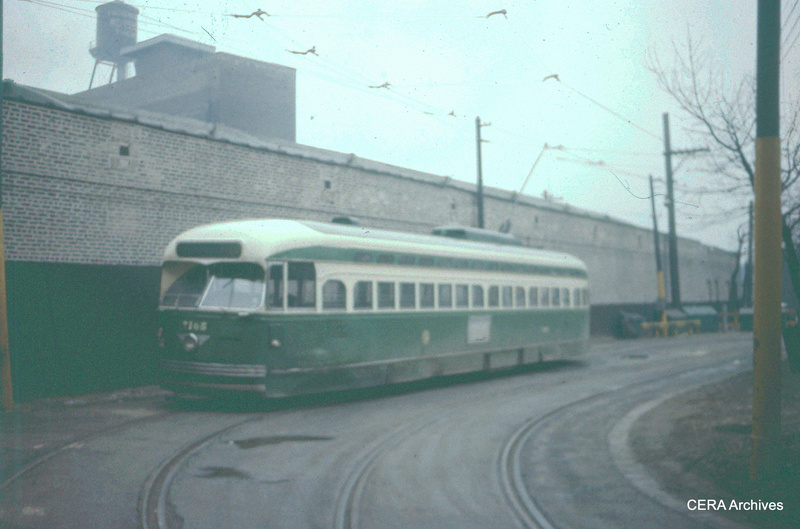 This was a better location than Clark, since it permitted an easier transfer to State Street trains. Ickes also preferred construction of an expressway along Congress Street, necessitating the relocation of the Garfield Park “L” into its median. 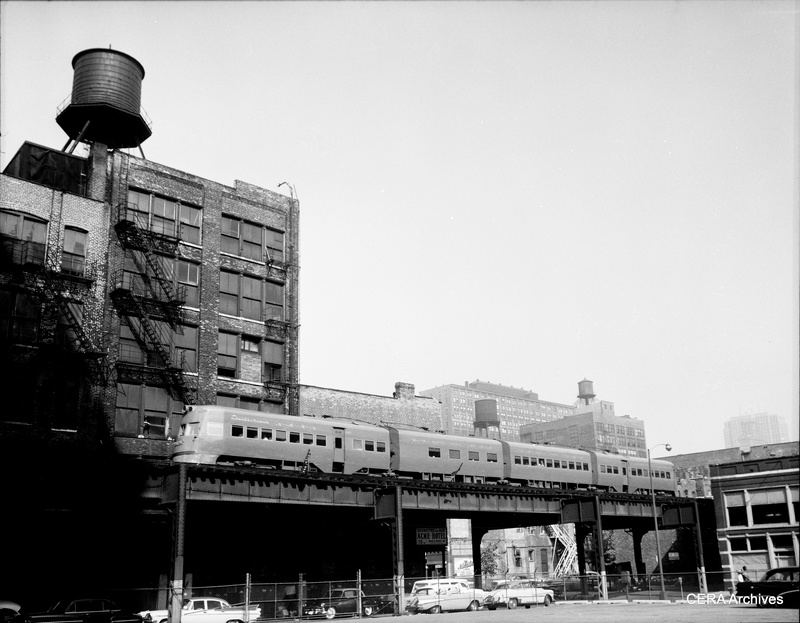 Garfield/Congress trains would be routed into the Dearborn subway, which would then continue the northwest along Milwaukee Avenue to connect up with the Met Logan Square branch. Construction started in 1938, but wartime shortages delayed the opening of this second subway until 1951. 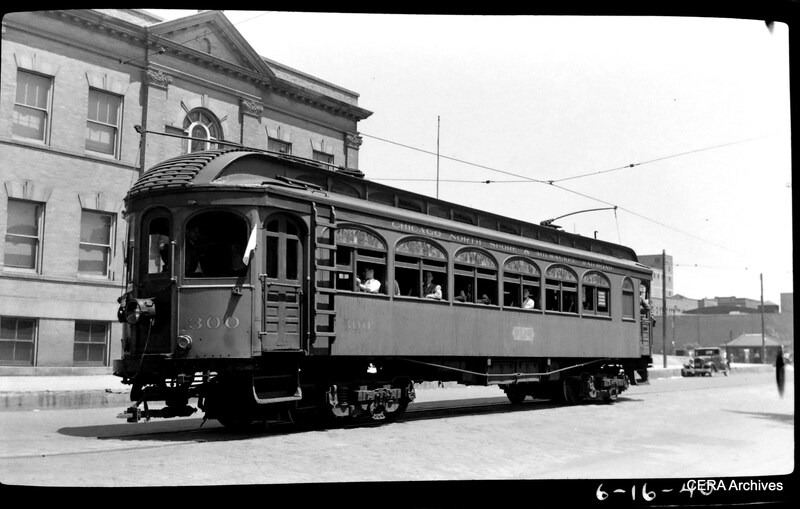 Even Samuel Insull had realized the advantages of a rapid transit line going Downtown along Milwaukee Avenue, in the 1920s, but if he had built it, it would have been an “L”. Subways were too costly, and would have to be built by cities. 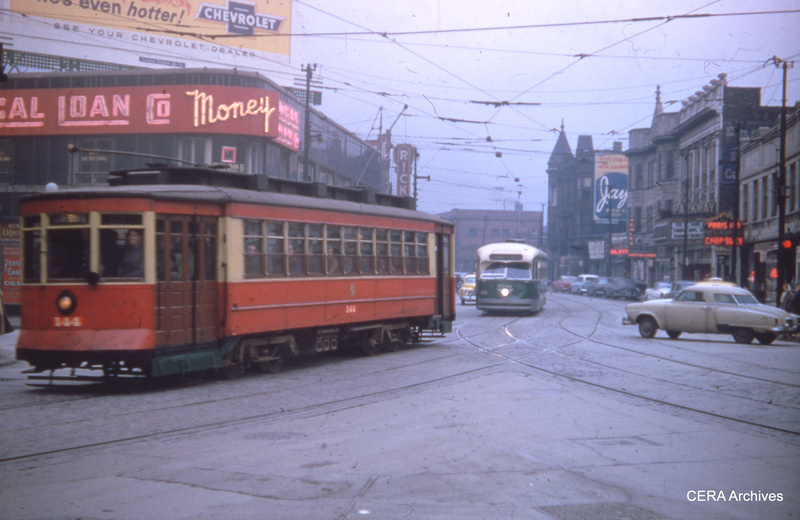 The streetcar subways were put onto the back burner, but continued to appears in the City’s plans for years afterward. 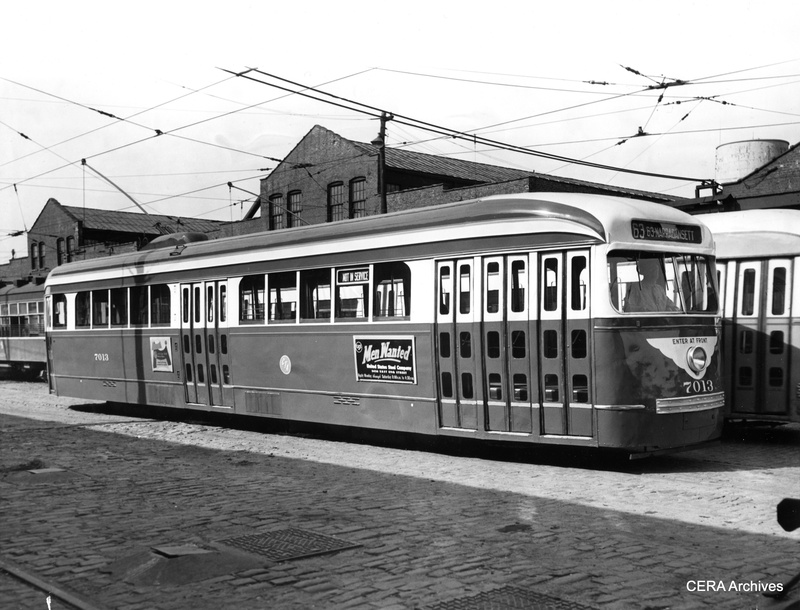 They were never built, but if they had been, it’s possible they would have facilitated the continued use of streetcars in Chicago, as they have done in other cities like Philadelphia, Boston, and San Francisco. 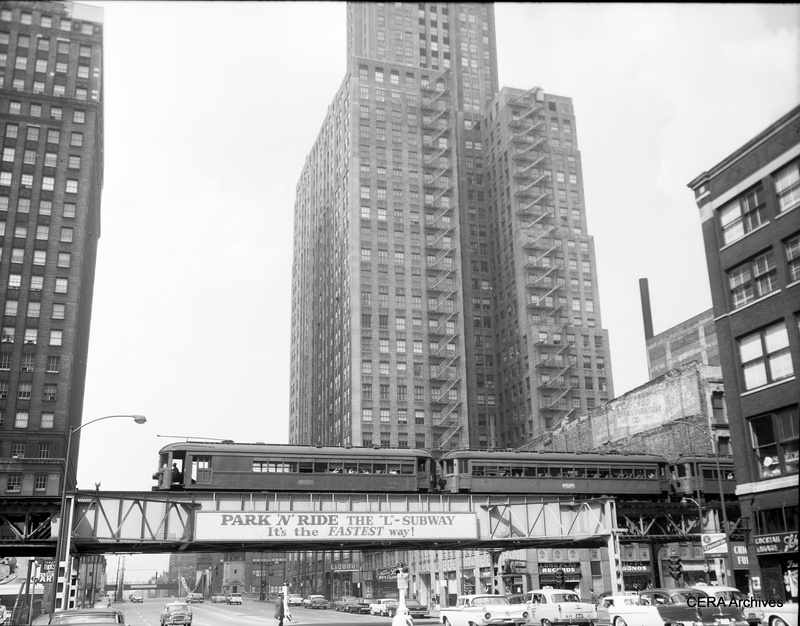 Even with two subway tunnels open by 1951, it was still not enough to allow for the razing of the Loop “L”, although it certainly did help reduce congestion. 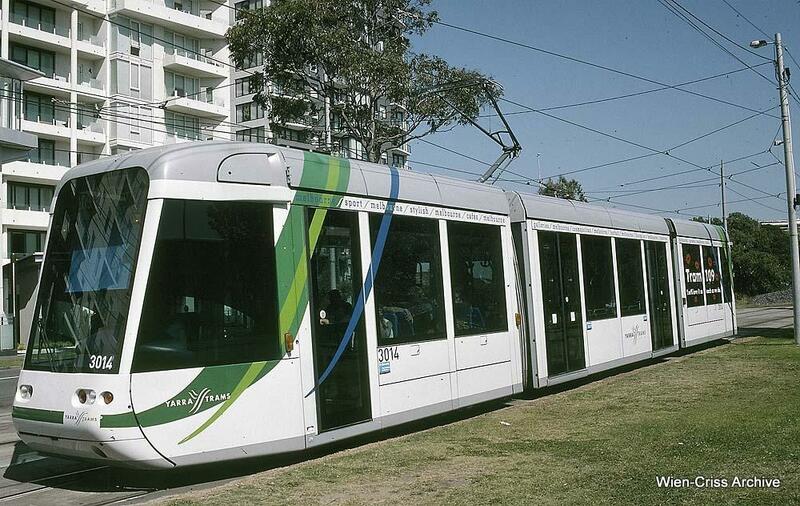 This would require additional subways. In final form, by the 1970s, there were plans for a Monroe Distributor that you can read about here. These plans were scrapped due to their high cost. 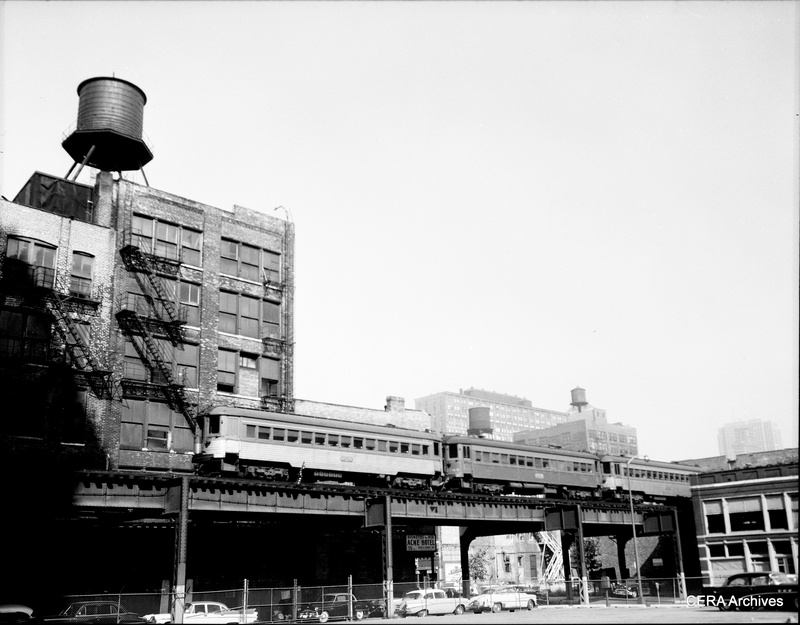 Thus Chicago’s Loop “L”, unloved and unwanted for much of its history, emerged as a survivor, and continues today as a cherished icon and landmark of the City. But the wheels that set that in motion began turning more than 100 years ago. What became of Bion J. Arnold? 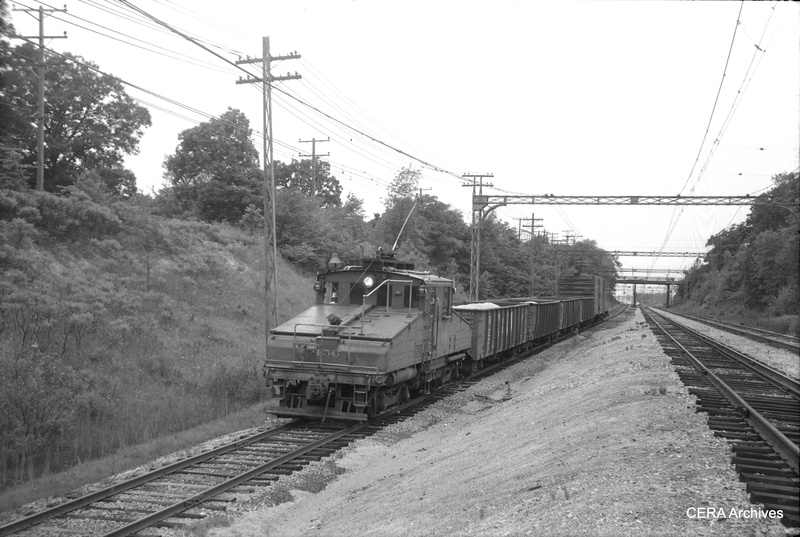 Eventually, he controlled the Elgin and Belvidere Electric Company, which ran an interurban along 36 miles of track between those two Illinois cities. This venture failed by 1930, taking with it much of Arnold’s personal fortune. 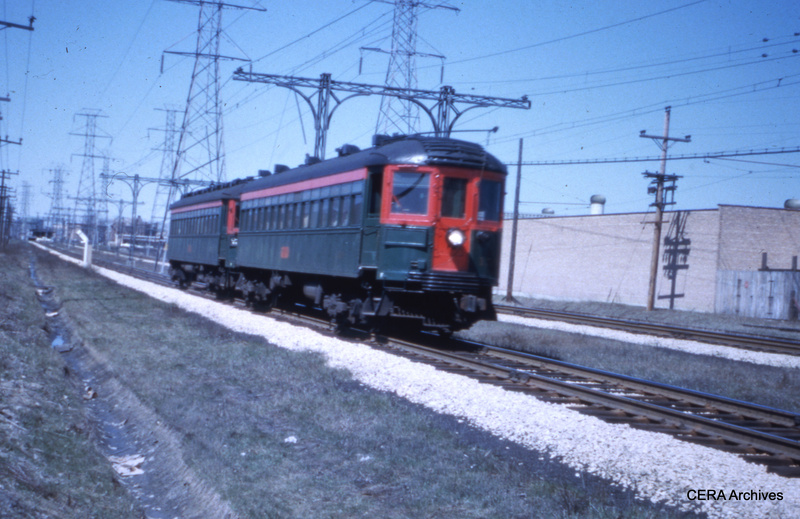 But even that had a legacy, as several miles of the abandoned Elgin and Belvidere right-of-way are now owned by the Illinois Railway Museum, and are used as it’s Main Line. PS- The CERA Members Blog reached a milestone the other day with 943 page views, our most ever. This blog had 75,000 page views last year, and more than 100,000 so far this year. We expect that by year’s end, this total will probably exceed 115,000, an increase of more than 50% over 2013. We take this to mean that we must be doing something right now and then. 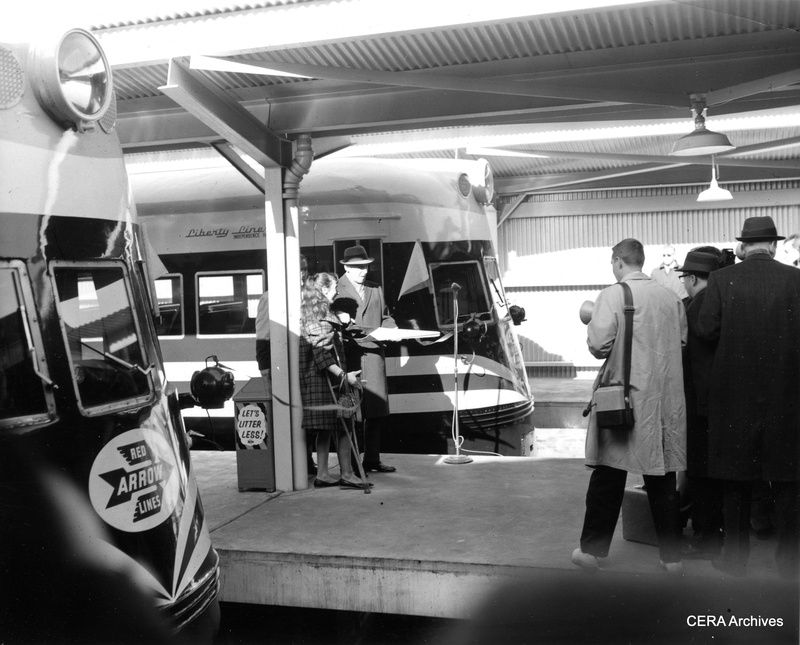 It is our hope that as more and more articles appear on the blog, it functions as an online archive and resource for transit history. We thank you for your continued support. With turkey day less than two weeks away, there is so much to be thankful for at this time of the year. Therefore, we thought it would be fitting to write a few posts this month about all the things CERA is thankful for. 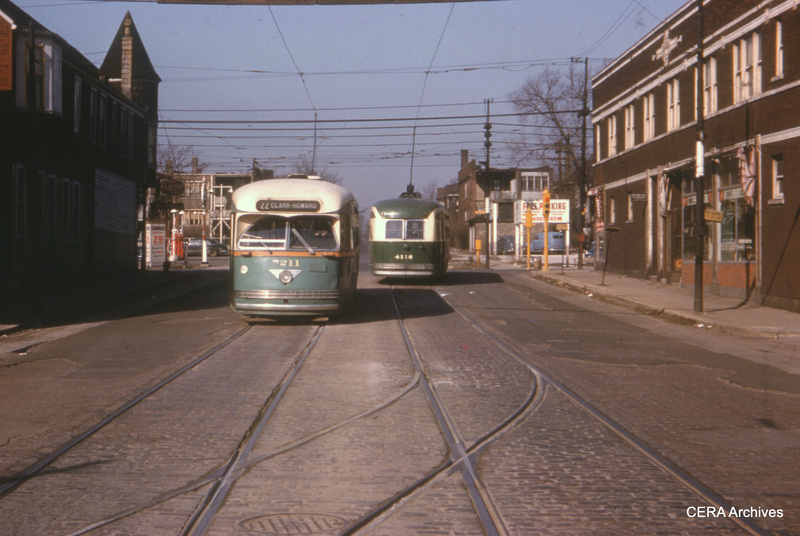 As we continue to work hard at finishing up our 146th Bulletin Chicago Streetcar Pictorial: The PCC Car Era, 1936-1958, we thank our readers with a sampling of some Chicago streetcar images that, for one reason or another, did not make it into the book. Without the help, support and donations of our CERA Members, who have been so generous in sharing with us, books like this would not be possible. We are thankful for that. Likewise, this and other such books would be impossible to put out without the tireless efforts of our CERA volunteers, who have logged many thousands of hours in doing research, painstakingly checking and rechecking facts, locations, and a myriad of other details that go into a book such as this. Many of the same volunteers also worked very hard going over many of these images in Photoshop, removing thousands of spots, scratches and other imperfections that have found their way into these original images over the course of 60 years. There was a time not that long ago when it would have been impossible to fix these things. But even though the technology is now available, it still takes a lot of “elbow grease” and burning the midnight oil to get the job done. And for that, we are very thankful. Even though the photos you see here will not appear in B-146, some of these same techniques were used to undo the ravages of time. The photo from Madison and Pulaski was covered with spots, which have been removed. 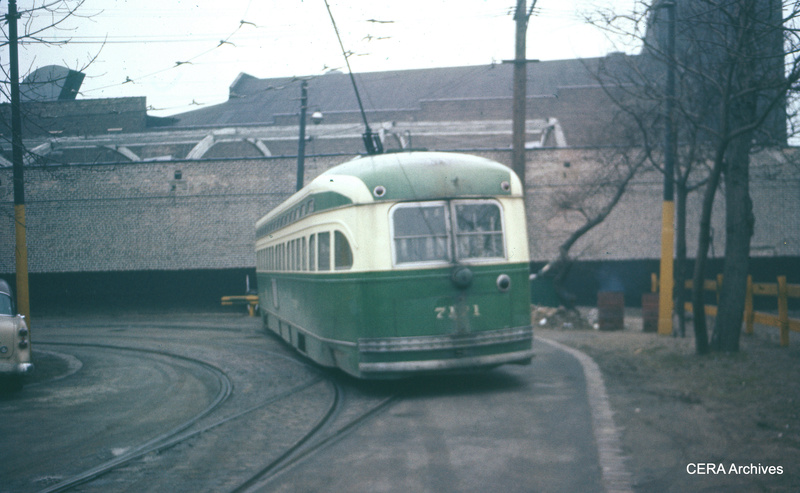 The picture from 81st and Halsted had a hair over the front of PCC 7211, which is now gone. The two pictures from the Clark-Howard loop had been badly faded over the years. They were taken onAnscochrome, an early type of slide film (similar to Ektachrome) that did not have the dye stability ofKodachrome. Using computer magic, it has been possible to “get the red out” and bring back a semblance of the original colors. For this, we are also thankful. And finally, we are thankful for everyone who has supported CERA by purchasing a Membership, for either 2014 or 2015. The number of renewals we have already received is very gratifying. Your continued support makes what we do possible. Consider becoming a card-carrying Member of CERA today. Joining, and renewing, has never been easier. Just click on this link for further details. We thank you for your time and consideration. PS- To read more about the 1956 fantrip where CTA red car 225 was rebadged as 144 for the day, go here. The CERA Used Book Exchange is taking this month off. The continued availability of used books is dependent on the generosity of our Members, and we thank you for both your donations and purchases. 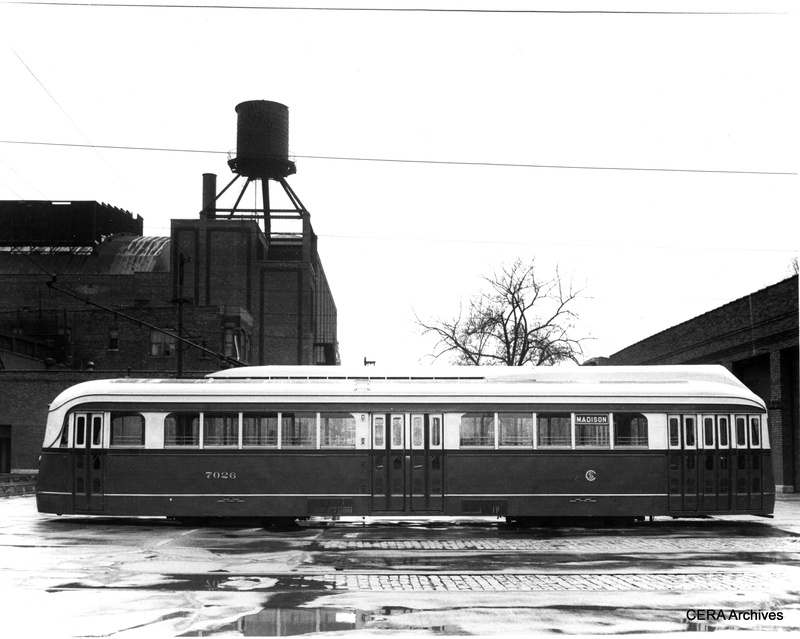 We are in the home stretch of working on Bulletin 146, the Chicago Streetcar Pictorial: the PCC Car Era, 1936-1958. Layout work on the book is essentially complete; the text sections for the book are finished, the nearly 1000 photos selected, locations identified, captions written and double-checked for accuracy. The DVD inserts are already at the printer, as are the reproduction 1936 CSL brochures that will accompany each copy of the book. This book will have more pictures, and with better reproduction quality, than any previous CERA book ever. We expect the book will soon be in the hands of the printer and 3-4 weeks later, copies will be mailed out from there. This book is a two-year entitlement for those who were CERA Members in 2012 and 2013, and we also are sending it anyone who was a Contributing or Sustaining Member in either year. Since we stand behind what we sell, we will cheerfully offer a refund anyone who pre-ordered the book and does not want to wait any longer to receive it. Because the book is already very popular and likely to sell out quickly, we expect that very few people (if any) will take us up on this offer. CERA wishes to thank both Beverly Petzhold and Edward Halstead for their recent donations of material to our Archives. Mrs. Petzhold is the widow of Charlie Petzhold, who died 20 years ago. His personal collection of engineering documents will give us a leg up on required research for a book we are planning, Building Chicago’s Subways. It is hoped that this book can be published in 2018, a year full of anniversaries. 2018 will be the 80th anniversary of CERA, the 80th anniversary of when construction began on Chicago’s Initial System of Subways, the 75th anniversary of the opening of the State Street Subway,and the 60th anniversary of the opening of the CTA Congress rapid transit line (which was referred to as a “subway,” since it is below grade). 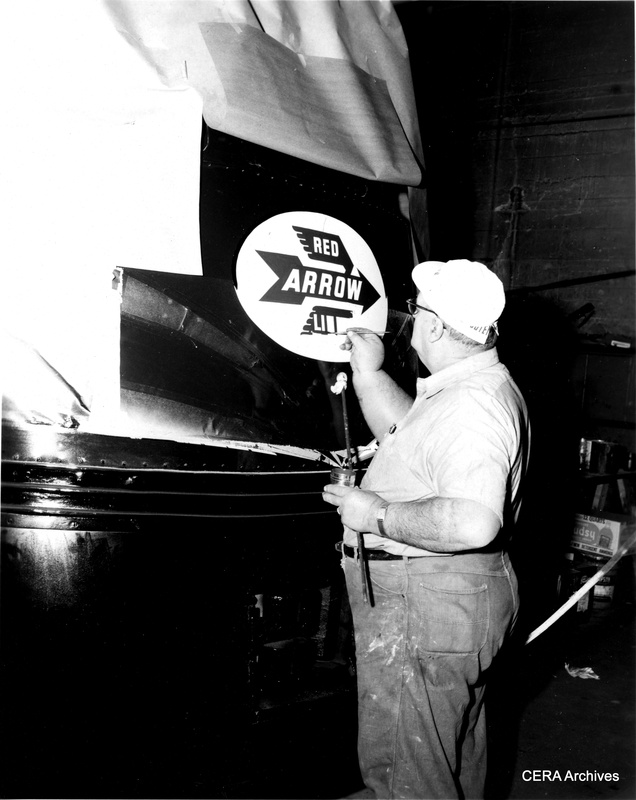 It also marks 65 years since the Chicago, Aurora & Elginstopped running downtown due to expressway construction. Therefore, considering all these anniversaries, it seems the perfect time for CERA to put out a book on this subject. We thank those of you who have already renewed your CERA Memberships for 2015. If you have renewed, your Membership card will arrive in your mailbox, along with the November program notice. If you have not yet renewed your membership, we encourage you to do so. New Members are also welcome!